Can turtles hear? They surely can! Turtles do not have regular ears like other animals, therefore we don’t see them. They are somewhat like ears that lie flat against the turtle’s head. However, they have the essential inner ear mechanism, auditory nerves and the brain center, which are the essential components for hearing. Turtles cannot hear sounds as they travel through the air as clearly as people do, because their outer ear collects sound vibrations and makes these louder. However, turtles have sharp senses which help them to interpret any vibrations that take place in their surroundings. Additionally, because of their excellent senses of smell and vision, hearing isn’t too important for turtles. Their lack of strength in one capability is compensated for by additional strength in others! Turtles can hear far better under water. This is probably due to their evolution as aquatic creatures. 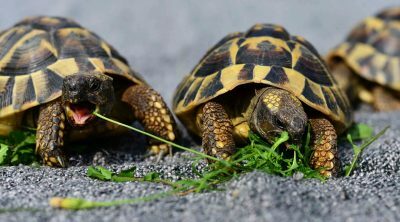 Even desert tortoises have better hearing ability underwater, even though they are not likely to come across large quantities of water all through their lives. The fact that all turtles have enhanced hearing abilities under water has been proven through scientific research. The researchers conducting this study collected data for CT scans and MRI of the inner ears of various turtle species. A detailed analysis revealed that all these vibrated or resonated with greater strength under water. Measurements of the inner ears of various species of turtles revealed that they all were very similar to the ears of aquatic turtles. Among turtles that were larger in size, the ratio between the inner ear measurements and the skull size remained nearly the same. 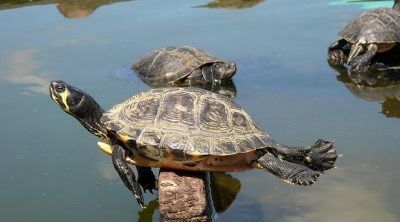 The research study suggested that all species of turtles are very likely to have evolved from one common water-based ancestor. 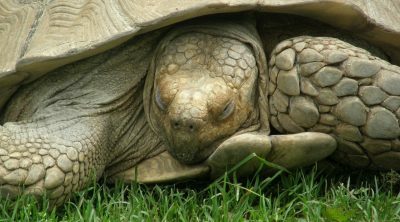 Land turtles or tortoises are able to hear through the vibrations in the ear drums. Despite the fact that these reptiles live on land, evolution has not worked towards creating an inner ear cavity; while there have been changes in their feet. 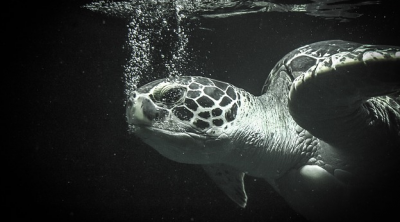 While their mating occurs in water, the female sea turtles have to come on land to lay eggs. Interestingly, the females frequently return to the same beach every year for this purpose, often selecting the beaches on which they themselves hatched. 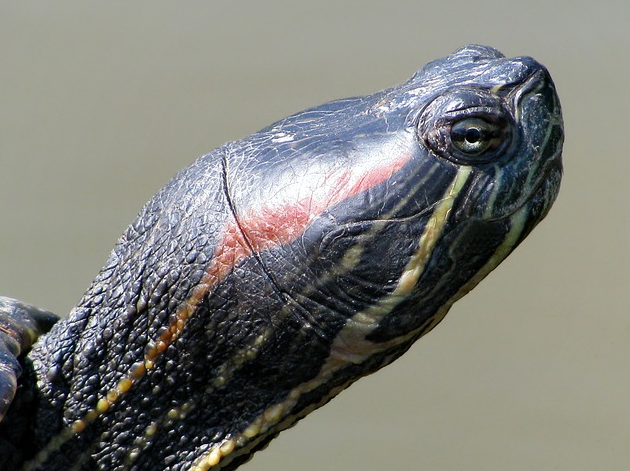 Turtles are believed to be among the least vocal reptiles, but their nesting period is quite well documented and their vocalization has been established strongly during their period. As the process of laying eggs is quite exhausting physically, the sounds they generate are due to breathing heavily and grunting, and other sounds that come from their throats. After an incubation period of approximately two months in the sand nests, the eggs hatch simultaneously, most often at night. The baby turtles then find their way into the ocean waters. We know for a fact that the ability to see light has a role in the ability of the hatchlings to find the sea; there is a possibility that the ability to hear also plays a role. The sea turtle’s ear has an opening that is covered with a thick layer of skin, called the cutaneous plate. It is formed by a ring of scales quite like those on the remaining part of the head, but a bit smaller. Underneath this skin is a layer of fatty content called the subcutaneous layer. Both these layers together affect the turtles’ ability to hear too clearly in the air. However, the same offer effective tissue conduction inside water. Sea turtles live in all oceans, excluding the Polar Regions where the water is too cold. There is no data available on actual recording of sounds made by turtles underwater or on land. We do know for sure that they can hear, but we do not know how well. I believe that my land turtle is quite adept at identifying vibrations, which obviously isn’t the same at listening. I believe my turtle recognizes me by the way my steps fall on the ground. It can distinguish between people and walks towards me and stops by my feet even if there is someone else around. Some people say that their turtles respond to their names, but I can’t say that mine does. But it does know if someone enters a room even when he can’t see the door and there is no sound. He knows right away where the food is even if he can’t see it, probably because of his strong sense of smell. Your pet turtle isn’t the regular pet that will respond to affection or care in the enthusiastic manner that a dog or cat does, but it surely has the ability to hear and respond in his own way. His keen senses of smell and vision will enable him to see and recognize you, perhaps by sight and your personal smell. It is thus very safe to conclude that the answer to the question, can turtles hear, is surely a yes! Can Dogs Eat Pumpkin? 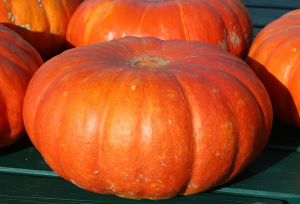 Is Pumpkin Good Or Bad For Dogs? Can Dogs Eat Cherries? Are Cherries Good Or Bad For Dogs?